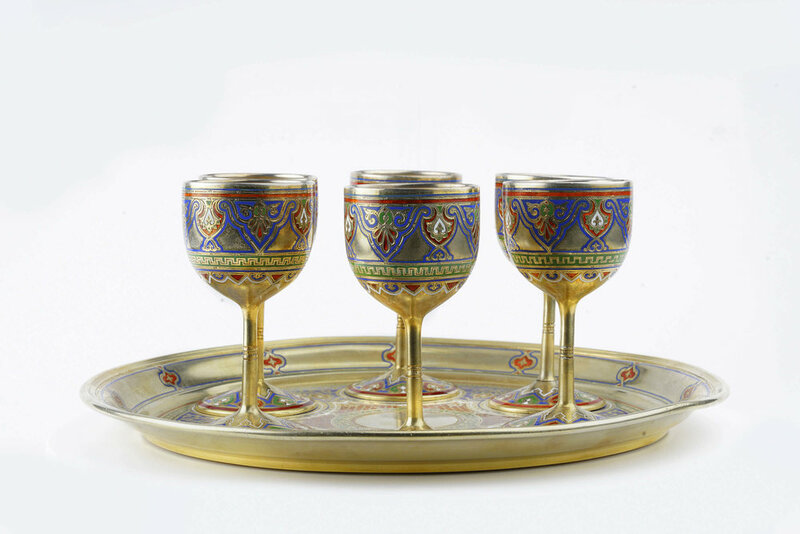 Antique Russian silver 91 champleve enamel vodka set with tray by Pavel Ovchinnikov, circa 1874. 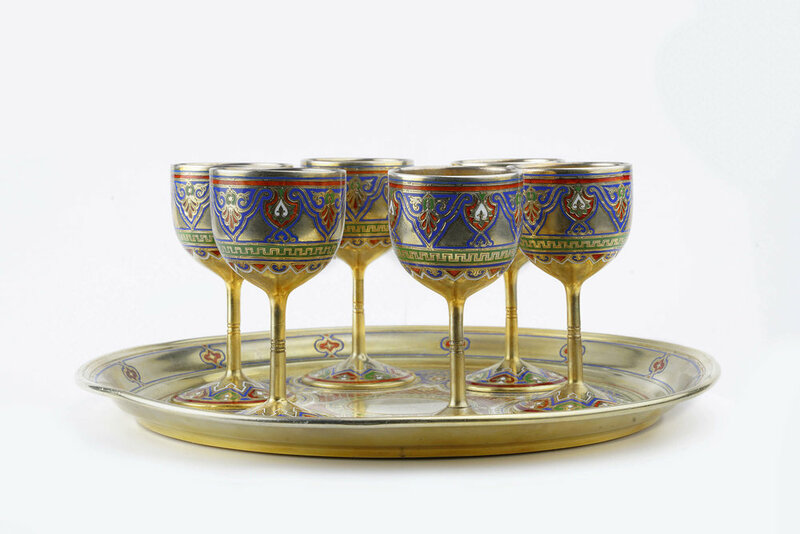 A beautiful antique Russian silver 91 champleve enamel vodka set with tray by Pavel Ovchinnikov, circa 1874. Diameter of tray is 8.8 inches. Height of each cup is 3.3 inches. weight of all is 1.106kg.